Huntington Hills restaurant is open to the public serving lunch and dinner. We also offer a full service bar with all your favorite cocktails and beverages. 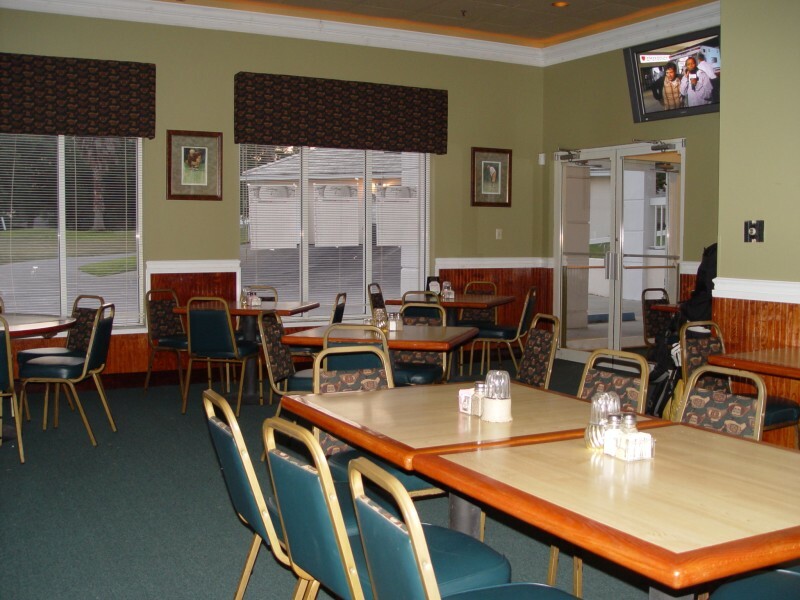 Our restaurant is located on the lower level of Huntington Hills club house. Casual dress is appropriate. Our menu boasts favorites such as Prime Rib and Chicken Parmesan, half pound burgers, and the best $14.99 Strip Steak around!. Indoor seating is up to 60 people with an attached patio and a spectacular view. Sunday our Dinner Menu is served from 11-2 in the restaurant and till 5pm in the lounge lounge. Brunch is back!! Each Sunday, with the exception of holidays, our staff creates several plated menu options served from 1030-2:00 in the restaurant and lounge. Favorites include Shrimp & Grits, Club House Breakfast, and Eggs Benedict. 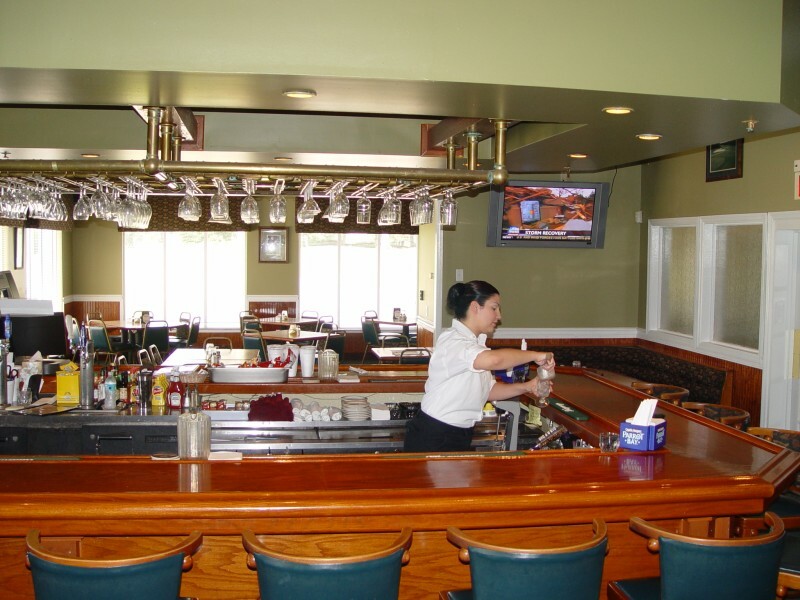 The Players Club Lounge is a full service liquor bar offering lunch and dinner menu selections. Watch your favorite game on one of our many flat screen tvs, and play your favorite music on our interactive jukebox. Happy hour is 4 to 6. Don't be late or you won't get a seat! Al fresco dining is available on our new patio terrace sporting brick tiles under foot and a new awning above with ceiling fans. Tile top tables are perfect for lunch or relaxing away the afternoon with a cocktail. Keep up with the game on the out door flat screen LCD tv.